1972-1973	Clyde B. Poplin, Jr.
September 10, 1894 the American Society of Heating and Ventilating Engineers (ASHVE) was established. On December 5, 1904 the American Society of Refrigeration Engineers (ASRE) was founded. In 1906 the term "Air Condition" was coined by a North Carolinian - Stuart Cramer. On January 29, 1959 ASRE and ASHVE merged to form the American Society of Heating, Refrigerating and Air Conditioning Engineers (ASHRAE). The Charleston Chapter of ASHRAE was chartered on April 14, 1971. Our Chapter achieved its 44th Anniversary April 2015. The current Charleston Chapter grew from the division of the South Carolina Chapter in Columbia SC and inclusion of the Savannah Chapter in Savannah GA (now disestablished). Thirty – six members petitioned Society to establish the Chapter. Of those charter members, F.A. Bailey III (’71), Clyde Poplin (’72), Tom Saunders (’73), Ivan Valdes (’74), Furman Cullum (’75), Bob Townsend (’76) and Mel Bundy (’79) served as Presidents of the Chapter. Sadly six charter members have passed, F. A. Bailey III, Clyde Poplin, Louis Drake, Bob Townsend, Jack Clayton, and Charles Hipp, II. Also sadly six past presidents have passed, F. A. Bailey III, Clyde Poplin, Bob Townsend, Jack Clayton, George Rast, and Eric Crawford on January 17, 2015 at age 36. Forty different members have served as president in our forty-four years. Four of these, F.A. Bailey, Dennis Knight, Ron Runyon, and Bo Nutting served two terms. In 2003-4, a third generation member, Charles Hipp III, served as President. 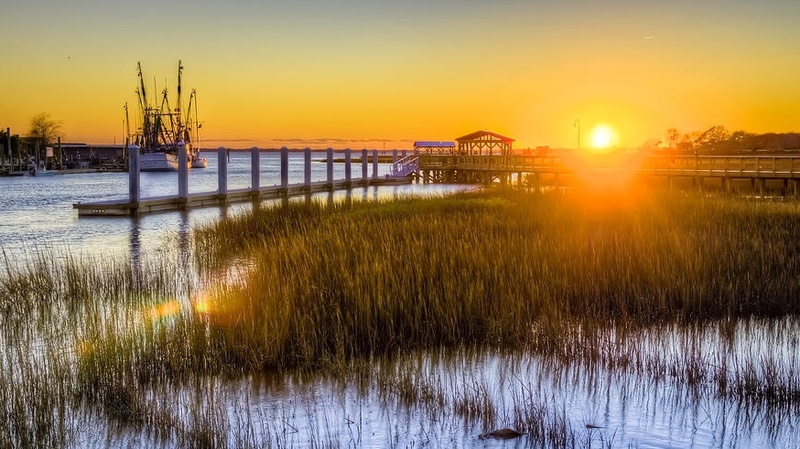 The Charleston Chapter has Charleston, SC (Charleston County) as its headquarters and encompasses the Low Country from the North Carolina/South Carolina line to and including Savannah, GA. The Chapter nick name is the “Gee Chee” Chapter – a local pre-Civil War Gullah term. Charleston Chapter has had the fortune to charter two sections and two student chapters. The Student Chapter at the Savannah School of Art and Design, Savannah, GA, was chartered in 1993 and has been continuously most active. The Student Chapter at College of Charleston, Charleston SC, was chartered in 2003 but is currently inactive. The Myrtle Beach SC Section of ASHRAE was chartered April 8, 1997. The Savannah Section of ASHRAE, Savannah GA, was chartered April 7, 1995. The Chapter has maintained a "historian archive" since 1971 which at present resides with the Historian. A gala 25th anniversary celebration of the Charleston Chapter was held April 8, 1997 on the deck of the U.S. Navy Aircraft Carrier, the U.S.S. Yorktown. The chapter celebrated its 40th anniversary, April 14, 2011, at a festive party on June 14, 2011. One of our current members, M. Dennis Knight, P.E., was honored at ASHRAE’s 2014 Winter Meeting for his contributions to the Society. Dennis’s membership was elevated to the grade of “Fellow ASHRAE” that recognizes exceptional members that have attained distinction and have made substantial contributions to the HVAC&R industry. He was one of 15 in all of ASHRAE so designated in 2013-14. Dennis is also a distinguished speaker in Society. He is the first in our chapter to have achieved either! In addition, as of August 14th, 2017, 11 of our members were serving as volunteers on Society level positions as either chairs, vice-chairs, members, or corresponding members of Technical Committees, Standard Committees, or Society guiding committees. These individuals are: Emad Afifi (Savannah Section/SCAD), Robert Chase (Savannah Section), Alois Malik, Leonard Damiano (Myrtle Beach Section), and Randy Jones, Dennis Knight, Steve Marek, David Schaaf, Mariah Schwartz, Richard Trent, and Michael Weeks (all of Charleston). Most of these members serve on multiple committees. As a testament to keeping up with technology, our Chapter in Jan 2015 has developed a new website: https://charlestonashraechapter.wildapricot.org. Thus we have progressed from carbon paper, typewriter, stamped envelope environment in 1971, to an on-line website, newsletter, meeting reservation and payment operation! The 2017-2018 effort to digitize history and make it available to the public is in effect. ASHRAE’s success as the world's leader in the HVAC & R industry is the direct result of leadership, continued involvement, unselfish volunteerism, and the dedication of the society's membership including our Charleston Chapter!